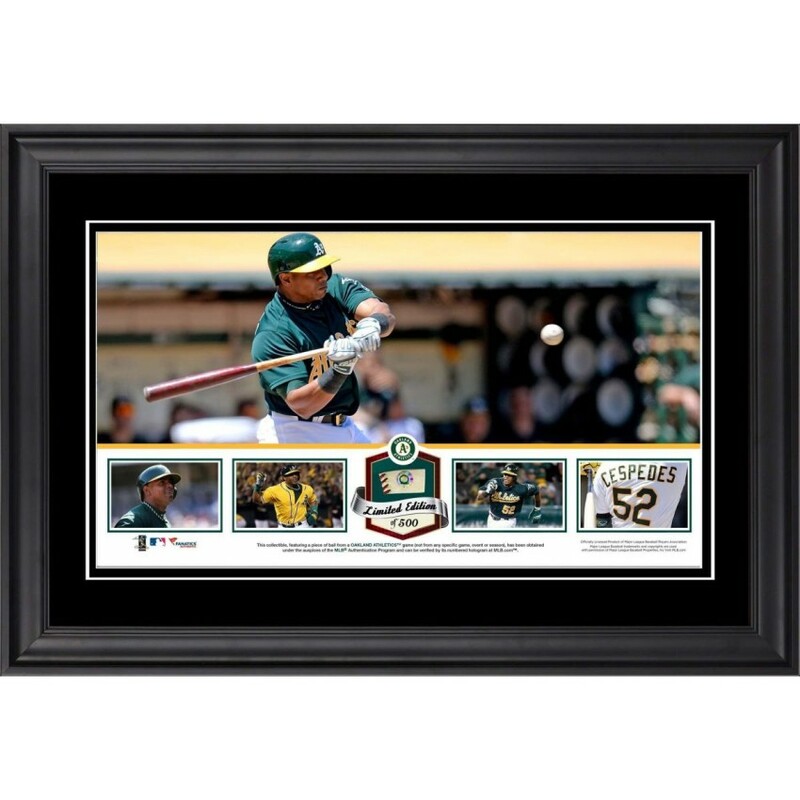 Each of these limited edition collectibles comes designed with a 10'' x 18" photo collage of multi-images of Yoenis Cespedes, a team logo, and an actual piece of game-used baseball from an Oakland Athletics game obtained under the auspices of the MLB Authentication Program and can be verified by its numbered hologram at MLB.com. It is double-matted and framed in black wood. The product is officially licensed by Major League Baseball. The finished piece measures 24'' x 16'' x 1'' and is ready to hang in any home or office. This collectible is a limited edition of 500. Please note that these collectibles are not individually numbered. This Seattle Seahawks Riddell mini helmet has been personally hand-signed by wide receiver Percy Har.. This 8'' x 10'' photograph has been personally hand-signed by Hall of Famer Stan Musial. It is offic..
Each of these collectibles comes designed with three photographs. This collectible, features a piece..
Commemorate Peyton Manning setting the single-season passing yardage record with this game-used coll..